The Planning Department is working in collaboration with other City departments and community stakeholders to understand the impacts of coastal flooding due to climate change, and to identify strategies to make San Francisco a more resilient city in the face of rising sea levels. Read more about the Sea Level Rise Action Plan. The Sea Level Rise Action Plan, released in March 2016, defines an overarching vision and set of objectives for future sea level rise and coastal flooding planning and mitigation in San Francisco. Proactive, thoughtful adaptation planning will allow San Francisco to minimize risks and meet the challenges posed by rising seas. The innovation, creativity, and inclusivity that have always inspired growth and development in San Francisco will support both sea level rise adaptation and continued growth as a leading global city. The Action Plan describes a series of steps to make San Francisco more resilient in the face of rising sea levels. 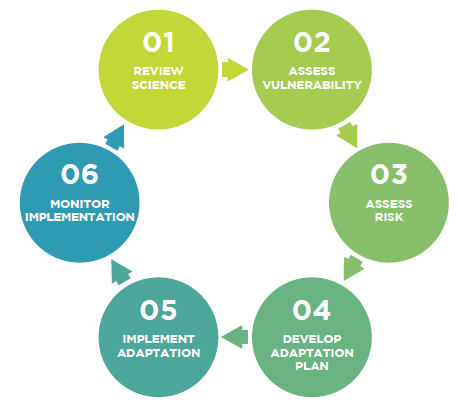 The Action Plan defines goals and guiding principles for sea level rise planning and creates a roadmap to develop vulnerability and risk assessments and adaptation strategies. 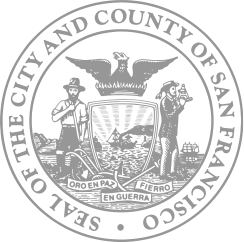 Mayor Lee assembled the Sea Level Rise Coordinating Committee in March 2015, an interagency task force of twelve City departments co-chaired by San Francisco Planning and the Office of Resilience and Capital Planning to develop a comprehensive understanding of the threat of sea level rise and to create a decisive plan of action. The Sea Level Rise Action Plan is the Committee’s first task. The Sea Level Rise Vulnerability and Consequences Assessment moves the City forward toward reaching the goals set out in the Sea Level Rise Action Plan. The Assessment identifies public infrastructure within the Sea Leave Rise Vulnerability Zone and assesses the infrastructure’s vulnerability to flooding. It identifies the potential consequences for people, the economy, and the environment, and includes a series of Neighborhood Profiles that describe how neighborhoods would be impacted by sea level rise and coastal flooding over time, with a focus on vulnerable communities. The Assessment will be used to inform how the City efficiently invests its resources to adapt the City’s infrastructure to near- and long-term coastal flooding. The City will be making a series of public presentations at City Boards and Commissions over Spring/Summer 2019. The Sea Level Rise Vulnerability and Consequences Assessment will be available in Summer 2019.